Chris Wrightson joined Ironbark in 2017. Chris has more than 30 years’ experience in the Financial Services industry. He has held various management roles in major financial institutions and has an in depth understanding of adviser to client engagement models, business models and growth drivers for advisory businesses. In roles at Ipac and later AXA Chris headed the team responsible for the acquisition and ongoing management of financial planning businesses. This team was responsible for the acquisition of equity in vendor run planning practices around the country and the corporatising of the client offer and business model. Chris is currently the Head of Wealth Management as well as a director on a number of advice business boards. 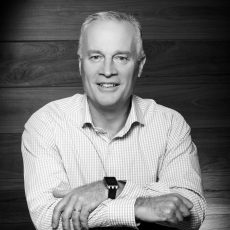 In his role Chris is responsible for strategic growth, M&A and governance of the Ironbark wealth management business.